Community Living Solutions and Keystone Nursing Care Center in Keystone, Iowa, celebrated completion of phase one on a 12,350-square-foot senior living construction project, hosting a ribbon cutting in late February. The first stage of CLS’ design-build project included a one-story addition with 10 short-term rehabilitation beds, four long-term skilled care private rooms and an inpatient/outpatient therapy center. As we try to do with most projects, CLS teamed with many local and regional contractors to complete the project. The addition’s interior design has features unique to Keystone—it incorporates photos taken by staff of the local community and environment to help residents and rehab patients feel at home. CLS will complete the senior living construction project’s second phase this spring. It includes a 400-square-foot commercial kitchen as well as other building and courtyard renovations. Keystone Nursing Care Center, a 45-bed senior living facility, opened in 1973. 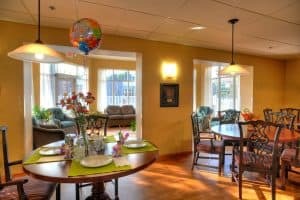 It also serves residents in its assisted living complex and independent living apartments. If you’re interested in expanding your senior living facility, give us a call at 515-478-3544. Our team of senior living construction experts can help you navigate Iowa’s building requirements, including facilitating a Certificate of Need. Community Living Solutions and the Clark County Rehabilitation & Living Center in Owen, Wis., celebrated the opening of the senior living facility’s short-term rehabilitation suites on Feb. 15. CLS broke ground on the 23,570-square-foot, single-story addition in May 2018. The new addition connects to the existing 1920s-era building. CLS’s senior living design included creating a new main entryway featuring a drive-under canopy to make patient drop-off and pick-up easier, especially during inclement weather. The Clark County Rehabilitation & Living Center has served the county since 1922. In addition to short-term rehabilitation, assisted living and long-term care, it specializes in memory care, geriatric psychiatric care and care for the intellectually disabled. If you are looking to expand your senior living facility, give us a call. We have expertise in incorporating new designs into existing spaces. Contact us at 920-969-9344 to schedule a complimentary consultation. We’d love to talk! As architects specializing in senior living design and construction, we hear it often—care facility owners and executives like you are challenged with appealing to more discerning clients (and their children) while keeping costs in check. So, what happens when your senior living community is years out of date or when market demand calls for more capacity? That’s when more affordable alternatives to new construction may come into play, including remodeling your facility or embarking on an adaptive reuse project. If you’re thinking about how you can meet customer demand when you don’t have the ability or aren’t interested in building new, it’s worthwhile to consider these alternatives. Differentiation is always the name of game in senior care. While the care you provide is the most important, your facility’s look and atmosphere is a major driver in whether a prospective resident chooses you over your competitor. Today’s seniors and their children are looking for their next living space to feel like home, a space where they are comfortable and can stay as active as possible. Considering facility changes? Stay competitive with architectural design by starting your planning phase sooner rather than later. This is especially true if a new long-term care facility is planned in your market—the goal would be to have your project done about the same time so that new competition doesn’t get a step ahead of you. It’ll help ensure your remodeling or adaptive use project meets market needs. It’ll provide you with a detailed financial analysis to determine whether the project is cost-effective. Finally, it’ll provide you with a general concept of what your design will look like and the programs and services you could offer. If you’re planning a facility remodel, this initial document should also include a plan for construction with minimal resident or caregiver disruptions. At CLS, we even create plans that involve and engage your residents in viewing construction progress, when possible, so that they feel included in their home’s evolution. If a master plan reveals your local market could use more senior living facilities, you may want to consider an adaptive reuse project, rather than building from scratch. Empty medical facilities, hotels, schools and other commercial buildings may lend themselves to such projects. Adaptive reuse is a commercial construction trend that many senior living facilities are adopting around the United States due to the scarcity and high land costs. In some cases, it’s also helping senior living communities locate in coveted spaces close to downtowns or cultural centers, where today’s seniors want to be. Mobility: How will seniors enter and exit easily? Do the materials used in the original construction provide high contrast to improve visibility? Is lighting sufficient? If the space is especially large or has several stories, consider upkeep on elevators and providing rest spaces to break up longer walkways. Socialization: Seniors’ physical and mental health relies on socialization with others. Ensure they have access to common spaces, even if it’s in a lobby area as well as outdoors. Public spaces: Based upon the location and size of an adaptive reuse project, it may lend itself to public use. Perhaps a portion could be rented out for a local shop or café. Or, your public-facing space could be designed to invite the community to share a cup of coffee or fitness class. When Grancare Gardens in Green Bay, Wis., approached us to develop a new assisted living center, we saw an opportunity literally next door. Grancare’s long-term nursing facility shared the block with an abandoned medical clinic and its parking lot. Although Grancare had been looking for a green space to build, we approached them about reusing the former clinic because it offered two benefits: it would allow Grancare to provide a continuum of care on one campus, and it offered cost savings. We transformed the dark clinic environment into an inviting 16-unit space with large windows and a gazebo that draw in natural light, comfortable interior design elements, an open-concept common area and a beautiful outdoor garden. If you are considering remodeling your senior living community or see an opportunity for an adaptive reuse project, give us a call at (920) 969-9344 or visit our Contact page. We can help you develop the most cost-effective plan to meet your market needs. At Community Living Solutions, designing and building senior living communities isn’t all we do. We think beyond brick and mortar to ensure our clients are making the best decisions for their future. How do we do that? With a comprehensive planning process, a commitment to active listening and informed decision-making. That way, all the pieces of a senior living construction project come together in a state-of-the-art facility that will meet residents’ and employees’ needs for years to come. We often compare our process to a three-legged stool made up of planning, architecture and construction. Our extensive planning process leads to thoughtful design and construction, which is based on our clients’ vision coupled with current and future market demand. When one of those legs doesn’t function effectively, the project suffers. See how we approach each of these services to ensure all three legs work together to create a state-of-the-art senior living facility. Before we begin designing your senior living facility, we take a significant amount of time gathering information to fully understand everything about your organization, your team, your residents and your board of directors. Thanks to our experience in designing and building only senior living communities, we also bring insight we gained from past projects to help ensure yours goes smoothly. We have assisted clients with developing strategic initiatives of their business plans. We helped them obtain financing and determine the capital cost of their project. Typically, we assist with identifying third-party market feasibility consultants to help our clients determine what to build—or whether to build—based on market demand. We enter every project knowing there are numerous decision-making possibilities, and every decision affects the whole. Like a Rubik’s Cube®, if you change one thing, there are another five sides that could be affected, for better or worse. That’s why we take master planning so seriously. Without proper planning, making changes without noticing how they affect the whole can leave you frustrated. And worse yet, leave you with costly mistakes both now and in the future. We design and build only senior living facilities because we share our clients’ passion for providing seniors the best quality of life possible. Our person-centered designs are uniquely creative as they need to solve a series of complex problems—focusing on residents’ quality of life, maximizing operations and staff efficiencies, minimizing overall costs and taking advantage of the latest market trends. During a recent memory care expansion at Bethel Home & Services in Viroqua, Wis., we brought the first Snoezelen room to that market. These multi-sensory rooms help reduce anxiety, especially for those living with memory loss. In post-construction client surveys, we learned that while the long-term care market is demanding private bathrooms, there are fewer people available to clean those bathrooms. At the same time, we learned of a light fixture that is said to kill germs and bacteria. Could installing these light fixtures help upkeep these bathrooms in some small way? It’s possible. Those living with memory loss may benefit from a room design with the subtle reminder of having the restroom in view from the bed. The possibility of reducing accidents allows caregivers to spend time on greater needs and interaction. Our portfolio is full of projects that not only brought beautiful new living spaces to area markets, but they also solved day-to-day challenges, both big and small. People often ask about assisted living construction costs, as well as construction costs of other senior living facilities. At Community Living Solutions, we take pride in bringing together all the disciplines needed under one source of responsibility: us. That helps keep costs down. Every project is led by a CLS partner who develops and helps to manage a team of about 20 subcontractors. In every instance, we hire local tradespeople who fully understand the area’s building codes. We vet them thoroughly to make sure they are fully staffed, have the right experience and background, and are financially sound. We also ensure they share our common values so they become a trusted partner of your complete construction team. We save money by acting as our own general contractor, and we pass those savings on to you. It’s estimated that a competitive construction management procurement process, such as the one we deliver, can save an average of 8 percent on construction costs. We view success as lessening for our clients any burdens that may come from a building project; delivering an efficient, homelike facility; and saving clients money in the long run. If you are interested in seeing how we are different, request an introductory meet-and-greet by visiting our Contact page or calling (920) 969-9344. Facility construction, remodeling or additions are perhaps among the largest projects senior living community leadership will undertake during their tenure. It is most certainly an exciting time, but launching a successful senior living construction project takes months of planning, even before a contract is awarded. It also takes open and honest communication among all the stakeholders. Below, we go into detail on each of these steps for those remodeling, adding on to or building a senior living facility. Before you know what to build and how big to build—or even if you should build—you need to understand the market. A thorough market research study gives you the data you need to determine if you’ll be able to maintain occupancy rates now and into the future, based on your area’s age and income demographics, your competition and the size of the facility you want to build. A market study also can help you decide what types of care are and will be most needed, including memory care or skilled nursing services, as well as the programming you’ll offer. All of these considerations should be included in the planning and design of your facility. This is also the time to fully understand any laws or regulations that may affect your project’s success. These could include everything from the dozens of states that require Certificates of Need to municipal building codes. Our blog, “Taking Your Senior Living Facility from Concept to Completion” provides a detailed outline of what to consider in your research and how we can help. Too often, many of us think in tactical terms: what needs to get done and when. We often fail to consider—and communicate—the ultimate goals of our organizations. You not only have to ask yourself what it was that sparked the decision for a senior living construction project, but also what you want to achieve for your organization in the future. Even a desire to attract more and higher quality staff could be in part answered by considering their needs as part of the building project. Details about the project type and scope. Ask about their goals for the project and whether they were met. Was the contract clear and easy to understand? Were there any surprises during the construction process? Was the project completed on time and on budget? If not, ask for details as to why. Did you enjoy working with the team? Were they easy to communicate with? Did they answer questions promptly? Did the project turn out as you expected? Were the terms of the contract fulfilled? Did the building meet all codes? Not every construction firm has specific expertise in how to build an assisted living facility or other senior living community. The needs of seniors—and your caregiving staff—are unique. An experienced firm will understand how you deliver care and how a facility can help provide the best quality of life for your residents. For example, certain architectural design features and floor plans will help you deliver memory care in the best possible way, a level of care that may not be achieved through cookie-cutter designs. Before you sign the contract, make sure you understand it in its entirety. It should define the scope of work and provide a detailed schedule from project start to occupancy as well as a list of all costs. This is the time to ensure the firm you chose is transparent with all costs, including fees and ancillary charges. 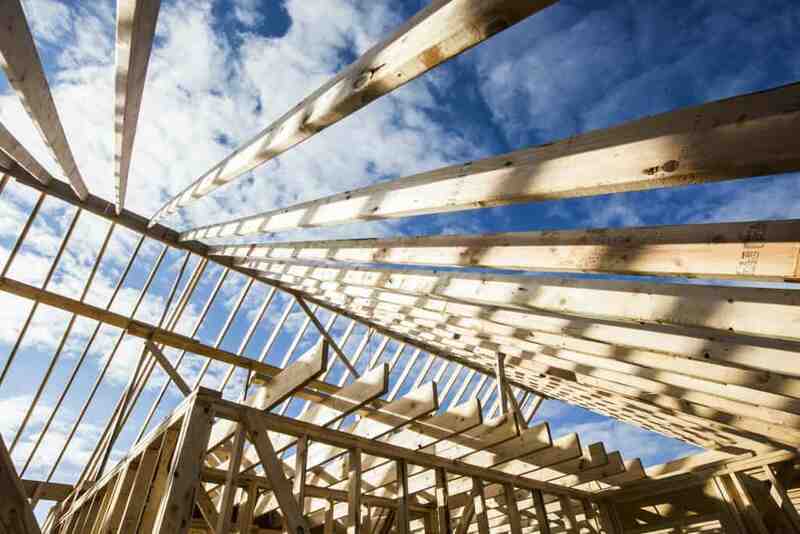 You may want a lawyer who specializes in building construction to review the contract. Good communication starts with your first introduction to the firm. But, once the project is underway, it’s imperative to keep the lines of communication among all the stakeholders. You’ll need to determine how often to communicate with your board and what to tell them (see our recent board of directors management blog for tips). You should feel comfortable asking questions of the firm’s project team and expect prompt responses. Misunderstandings or poor communication on the part of any one of the stakeholders could unnecessarily delay the project. At Community Living Solutions, we have a wealth of knowledge and expertise in planning, designing and building senior living communities. It’s all we do. We pride ourselves on competitively bidding every project to ensure costs are kept in check, and we provide 100 percent financial transparency. If you are considering remodeling, adding on to or building a senior living facility, contact us or call (920) 969-9344 for a free consultation.